Nestled in on one of the numerous beaches along the expansive coastline, Playa Corozalito is one of many sea turtle conservation sites in Costa Rica. 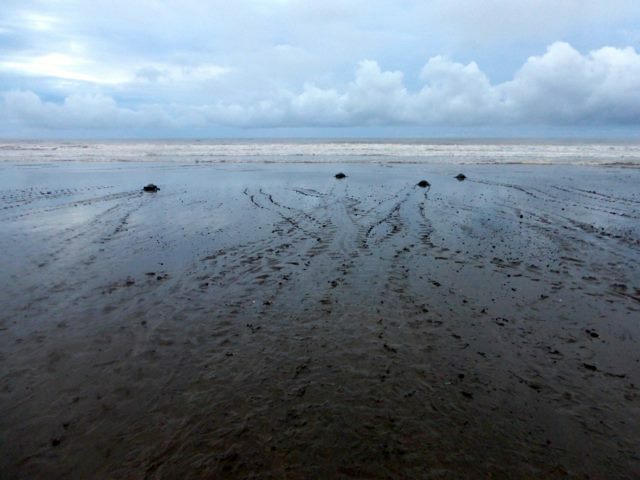 This site is important specifically for the Olive Ridley sea turtle, who nest on this beach during a synchronized event called the arribada, where hundreds of females come ashore in waves to nest and lay eggs. The project at Playa Corozalito is headed by a Costa Rican non-profit called PRETOMA. Founded in 1997, PRETOMA participates in marine conservation and research on several beaches across Costa Rica. Their beach conservation projects are centered around nest protection to reduce poaching and increase hatching success rates. Thanks to their efforts on Playa Corozalito, important habitat has been preserved and populations of Olive Ridley sea turtles are on the rise. PRETOMA’s work, supported by the RIESTER Foundation, on the beaches of Costa Rica has also supported local communities by providing environmental education and providing jobs to locals monitoring nesting sites. There are currently four different beaches that PRETOMA is working to protect, each with their own unique programs and volunteer opportunities.